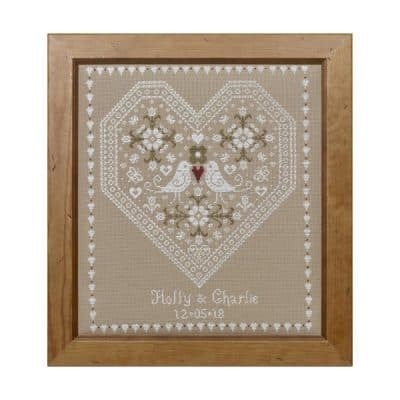 A beautiful romantic design depicting a floral heart with two birds as the centerpiece. The design is stitched mostly in white thread, and highlighted with red and fawn, this creates a gorgeous lacy feel. The finished piece would suit both a modern or traditional setting.